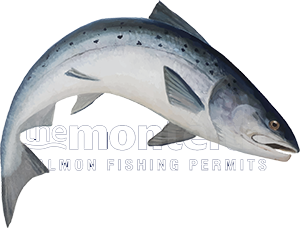 If you're waiting for perfect river conditions for your salmon fishing you can wait a long time and still have zero guarantee of a fish or two! Many anglers these days pay far too much attention to digital 'catch stats' and water levels which I suspect has cost them many salmon. Many anglers these days wait until the last minute to see what the water is doing or what's getting caught before committing to a day on the river which is a bit sad when the only Scottish salmon stock measuring tool are the anglers themselves! There are many factors that influence whether salmon are caught or not on any beat but one thing for certain is that no anglers will catch no fish and if no fish are being recorded then no anglers are coming and so this self fulfilling prophecy continues! I'm not distracting here from the fact that last year on many rivers was poor due to an extended low water Summer period but what I am saying is that many salmon fishers are now last minute bookers which has 'amplified' the lack of fish being recorded by reducing their own fishing effort by holding back for their perception of perfect river conditions! Salmon thankfully can and do think for themselves and it often amazes me when I observe the most unlikely low water river conditions come alive when a run of fresh salmon cause commotion as they enter the pool. Often in the low water of Summer you'll catch fish with running marks on their bellies so these fish decided to run and not wait for a lift in the river or for the falling water levels on the back of a flood as they should have done! Don't be looking for river condition perfection in this business is what I'd suggest as salmon will often show up when you least expect it and against the odds. There's way much more to enjoying this fine pursuit and at best catching a salmon will only ever represent a very small fraction of the hours you'll fish. Success in salmon fishing is about knowing tactically what you're doing coupled with high persistency levels over the full course of the fishing day. Focussing your thoughts on the speed and depth of your fly or lure are very important factors too. The real advantage you need is that often unpredictable bit of luck that positions you in front of a taking fish and all of the above has got absolutely nothing to do with a water gauge readings or the vast majority of other river conditions. Look at the damage 'over thinking' has done in the scientific research side of this industry so if you're an angler 'use your loaf' and don't replicate that nonsense of unsubstantiated theories and smoke screens and get a 'controlled' fly out across the river! Unpredictability in this sport is one of its big attractions and turning up on the river where the conditions are less than favourable doesn't mean salmon are not present or cannot be caught. The skilled salmon fisher will be excited by this challenge and will be very eager to prove a point. Don't make the mistake of 'writing off' the fishing day as I've seen our 'Salmon God' appear in horrible flat grey light conditions when a rotten easterly wind was blowing and when the nastiest 'face biting' north wind was howling all day long down the Tay. Bright light, low light, high water, low water, thick fog, freezing cold or roasting hot you should always be aware that there's always a chance as long as you believe there's one!